How many times have you heard one of your go-to jams and immediately perked up? Music has long influenced our day to day life, and that power is becoming a strong influence in the world of fitness. Music’s motivational affects are linked to increases in individual perceptions of self-esteem (hey, we can’t complain). 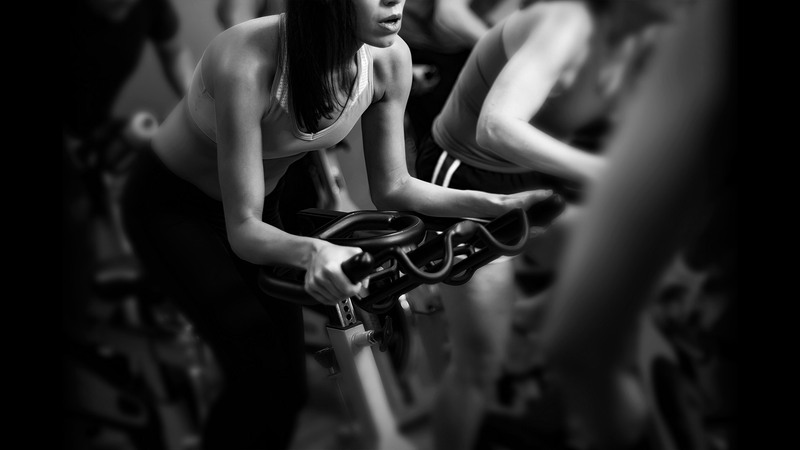 Hearing your favorite songs while on the bike, at the barre, or in a burpee has been shown to reduce your perceived levels of exertion and even enhance motor coordination! Songs played in a well designed fitness class will coordinate intervals with exercises. Add in solid breath control and your on your way to being a pro. This formula creates maximum efficiency during the class while creating pace and structure for participants. In a recent American Journal of Sports Medicine study, research shows that a good playlist, “narrows a performers attention and consequently diverts attention from sensations of fatigue”. In a nutshell, enjoying your instructor’s well-crafted playlist allows you to put in the extra effort in those tough moments. The study also shows that music has the power to “enhance positive dimensions of mood” and “temper the negative”. What’s not to love about a playlist that not only helps you push through intensity, but also simultaneously uplifts your spirits? Whether you’re an avid fitness competitor or a total newbie, the positive affects music has on your workout (both aerobic and anaerobic) can be outstanding. Although you may not recognize it until your favorite pump-up song hits the speakers, your class performance is driven significantly by beats. So open your ears, lock into the tunes, and let the power of music work for you on your way to your best body.